Remember that teaser graphic that went up on Nissan’s website a while back? It is now changed and with it comes an invitation. From May 5 to May 6, you can test drive the car which the silhouette belongs to. The test drive, open to public, will be held in ETCM’s showroom in Jalan Kemajuan, Petaling Jaya between 9.30 am to 6.00 pm. The car that you will drive is an all-electric vehicle. 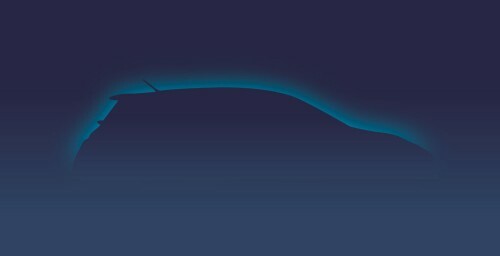 Judging from the silhouette, we’ll take a guess that it is the Nissan Leaf – it has all the telltale signs. If you want to know (read: teased) more, then click on www.nissan.com.my/EV/media. should be very cheap because the car has no engine at all. but how much cheap? 60K? he he.. seriously… will govt allow that? Theoretically it should be cheaper to make, due to less parts in the car compare to a petrol powered car. But, if they add in all those R&D cost ++ & the BATTERY, then it will not be cheap at all. I guess it will be over RM 100K even with current gov tax exemption. Sigh! Wishing to go green & do our part to save the Earth (or human race), one will need to have $$ to do so. “Project Better Place” is doing something to overcome the “expensive issue” of electric car though. LEAF la , the silhoutte suggest that ! paul, you link broken for the Nissan Malaysia website. Let’s guess it! The winner wins an Internet! Just saw a nissan leaf on the road while driving along near Damansara Heights this afternoon and it turns to ECM Libra building. No disguise. A light blue metallic one. must have been the same Nissan Leaf I saw at Phileo Damansara awhile back. also blue. I already saw somebody using a Nissan Leaf a month back in Phileo Damansara, thought it was already released in Msia..must be a import unit then. quite likely to be leaf. i’ve seen a blue nissan leaf make its rounds around PJ and Damansara area for the past couple of months…. yeah.. must be nissan daun..
actually for those who had sent their car to tan chong for servicing, there is one parked right outside the service area in section 14. i would probably think that the shape and design is way beyond our time now, it looks like something of a futuristic movie. no engine right? that means no engine oil change business also for Ah Cong workshops too.